Should Capacitor Bypass on Circuits? 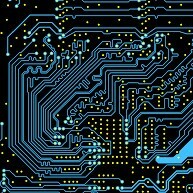 Will Circuit Boards Need More Wires? Capacitance: How Much Is Enough? How to print PCB layout size right? How to lay out a double sided SMT circuit board?